« Warning! OH HB 160 Would Elevate Sexual Orientation and Gender Identity to Protected Class Status! Young Americans for Freedom (YAF), a new conservative activism organization at the University of Cincinnati, will be hosting pro-life speaker Star Parker on February 15th, and UC is charging them a $2,000 security fee, even though the event does not meet their own requirements for the charge. 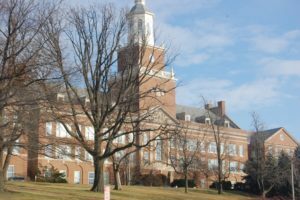 Click HERE to read more about this discrimination against conservatives by the University of Cincinnati!